Pain in the arms is a common problem among people of all ages. Although most of us ignore this problem and subdue it just with an application of a pain-relief ointment, but one must be aware of the fact that painkillers and ointments are only ways of temporary relief, and there can be various underlying causes of arm pain. The source of arm pain may be in the wrist, forearm, elbow, upper arm or shoulder and the causes can range from arthritis, tennis elbow and carpal tunnel syndrome to past injuries and fractures. 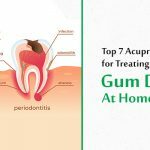 Whatever might be the cause, it is important to address it and treat the problem from the roots in order to get long-lasting relief from the discomfort caused by arm pain. 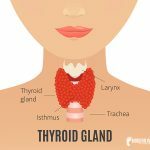 Acupressure is one such time-tested alternative method of treating wrist and arm pain that not only provides quick results, but also cuts out the side effects of painkillers. Before getting on with the acupressure points for wrist pain treatment, let us know some of the common causes of wrist pain. Sudden Impact – Sudden falls can cause sprains, strains and fractures to the wrist which can lead to wrist pain. Repetitive Stress – Activities that involve repetitive movement of the wrist can lead to inflammation of the tissues around the wrist joint and can cause stress fractures. Arthritis – Both osteoarthritis and rheumatoid arthritis can trigger wrist pain. Osteoarthritis could cause wrist pain if there is a past injury to the wrist. In case of rheumatoid arthritis, the body’s immune system attacks the tissues and the wrist is a common area of complication in this case. Carpal Tunnel Syndrome – Carpal tunnel syndrome is a condition in which the pressure increases on the median nerve as it goes through the carpal tunnel, and this causes wrist pain. Wrist pain is a common complaint of many people, and sometimes it springs up so suddenly that most of us don’t even have any idea about its causes. These are mostly cases of repetitive stress on the wrist. Wrist pain can also be caused by fractures, injuries, arthritis and carpal tunnel syndrome. These functional acupressure points can address all these problems and bring instant relief to wrist pain. 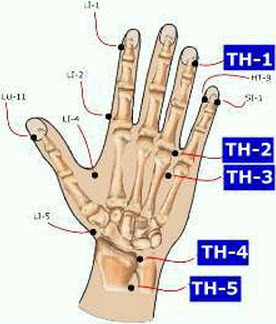 TW5 or Triple Warmer 5 is a local pressure point in acupressure and acupuncture treatment for wrist pain. This point is also known as the Outer Gate and is located on the outer side of the forearm, midway between the two bones, two and a half finger widths above the wrist joint. Stimulating this point on both arms using fingertips is useful in relieving wrist pain, rheumatism and tendinitis. This point is especially effective in boosting immunity so that the body can fight better against colds and allergies. 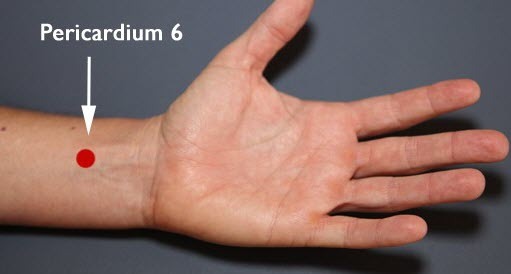 P6 or Pericardium6 is yet another local acupressure point for wrist pain relief that is located in the central part of the inner side of the forearm, two finger widths above the wrist crease. Stimulating this point on both arms using the fingertips can help in relieving carpal tunnel syndrome, wrist pain and nausea. This point is also beneficial for treating motion sickness and vomiting during pregnancy, digestive disorders and headaches. TW4 or Triple Warmer4 is a local acupressure point on the wrist that is especially useful for treating neck, shoulder and arm pain caused by carpal tunnel syndrome. This point is located on the outer side of the arm, in the hollow in the center of the wrist at the crease. Stimulating this point also helps in relieving rheumatism, tendinitis and tennis wrist pain and strengthens the wrist. In addition, it is also useful in treating ear problems, deafness and painful throat. 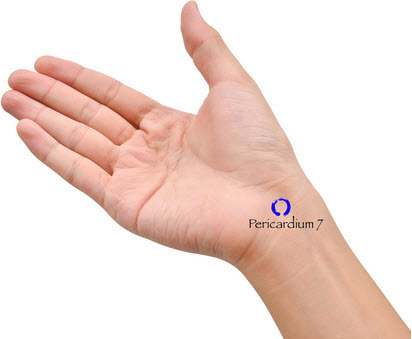 Acupressure point P7 or PEricardium7 is also known as the Great Mound, and this point is really effective in treating wrist and thumb pain. This point can be found in the middle of the inner side of the wrist crease. This point aids in relieving all types of wrist problems like wrist tendinitis, carpal tunnel syndrome and rheumatism. It is also useful for treating post-menopausal problems like hot flashes. LI10 or Large Intstine10 is also known as the Arm Three Li, and this point is extremely beneficial for treatment of wrist and arm pain. This point is located on the outer side of the wrist crease, two finger widths away from the crease. This point is very effective in treating wrist, elbow and shoulder pain issues along with general ache in these areas and paralysis in the upper limbs. 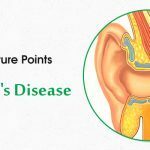 This point is also helpful in treating nausea, vomiting, ulcer pains and digestive disorders and building of energy level in the body. There is a wide range of causes of arm pain. Let us take a look at some of the common causes of the problem before getting on with acupressure treatment for arm pain. Broken Arm – There are three main bones in the arm – ulna, radius and humerus. Falling down with an outstretched hand can lead to a fracture in any of these bones and lead to arm pain. Carpal Tunnel Syndrome – As discussed earlier, carpal tunnel syndrome is an arm condition caused by pinching of a nerve in the wrist. This condition may lead to arm pain, numbness, tingling and other symptoms. 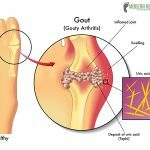 Rheumatoid Arthritis – This is a chronic inflammatory disorder that affects the small joints of the arms and feet and leads to arm pain, swelling and stiffness of the joints. Sprains and Strains – Sudden injuries to the arm can cause sprains or strains that are two of the main causes of sudden arm pain. A strain is caused by stretching or tearing or a muscle or tendon while a sprain is caused by stretching or tearing of a ligament. Tendinitis – This is yet another common cause of arm pain caused by inflammation or irritation of the tendon that is attached to the muscle or bone of the arm. It is common around elbows and shoulders. Tennis Elbow – Tennis elbow is a painful condition of the arm caused by overstressed tendons of the elbow. The stress is caused by repetitive motion of the arm and wrist. Those who are involved in strenuous activates on a daily basis often complain of arm pain. 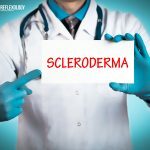 It is an unpleasant sensation that can be present both in the forearm and upper arm and the discomfort may range from numbness and stiffness to unbearable pain. Arm pain can be caused due to injuries, fractures, tissue damage or damage of nerve fibers. Pain may also be caused due to overuse of the arm. But all these issues can be treated with the help of acupressure. LI11 or Large Intestine11 is an effective point of acupressure and acupuncture for pain in the arms. It is also known as the Pool at the Bend and is located on the side of the elbow, on the external side of the arm. 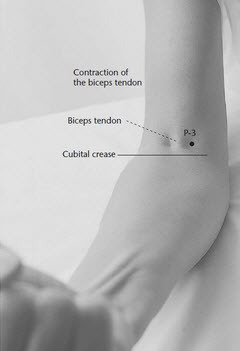 This point is useful in treating arm pain caused by tennis elbow. It is also beneficial for treating high fever, skin diseases, inflammation, heat stroke and blood circulation issues. P3 or Pericuardium3 is an important point of acupressure and acupuncture for arthritis pain. This point is also called Marsh at the Bend, and it can be found in the sloping crease of the elbow, on the ulnar side of the biceps brachii. It is a significant point for alleviating arm pain, tremors in hand and arms. In addition, stimulation of this point also aids in relieving symptoms of Parkinson’s disease, gastrointestinal disorders and vomiting. 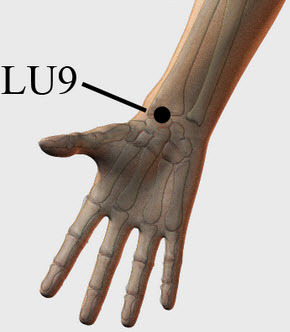 Acupressure point LU9 or Lung9 is a useful local point for elbow and arm pain located on the wrist crease, on a line with the thumb. This point is highly functional in treating arm pain and wrist pain along the meridian. It also aids in treating asthma, cough, palpitations and breathing problems. TW14 or Triple Warmer14 is a shoulder pressure point for relieving arm pain. This point is positioned on both sides of the body in the hollow below the scapula and directly above the arm joint. Applying pressure at this point on both sides of the body helps in easing heaviness, numbness and stiffness of arms and shoulders and corrects the inability to raise the arms. 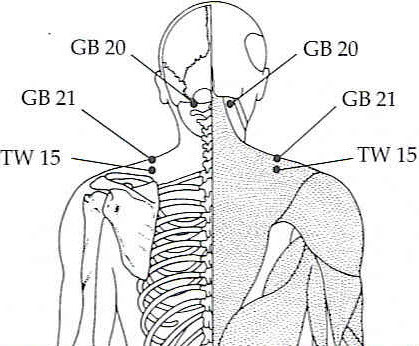 Acupressure point TW15 or Triple Warmer15 is yet another shoulder pressure point for arm pain that is located at the top of the shoulder, midway between the neck and the edge of the shoulder. Stimulating this acupressure points helps in relieving the numbness and stiffness of upper arms, neck and shoulder. It also aids in reducing nervous tension, improves functions of the lungs and enhances the resistance to cold and fever. Stimulate these pressure points using your fingertips, thumbs, palms and knuckles and enjoy long lasting relief from agonizing wrist and arm pain without the use of medications or pain killers. Is there any order that the pressure points along the arm should be applied in? Also how long should one apply pressure to these points? Thank you very much. Start activating for two to three minutes, gradually extend it to ten mins. No there is no particular order. My arms gets really cold almost like ice feeling at night and then have tingling feeling and numbness. This has been checked by doctors but they are not able to find reason behind the arms getting cold. Can acupuncture help if so can i learn myself to do this. the fingers start aching after doing it for long… can we use any instrument to stimulate the points ? You can use an acupressure hand roller which is works great as well.